Many freshwater fish species are already in decline in California, because of dams, pumping water out of the Delta or habitat loss in urban areas. A new study suggests climate change will make things much worse, driving nearly 100 native species either to extinction, or to very low numbers, by the end of the century. 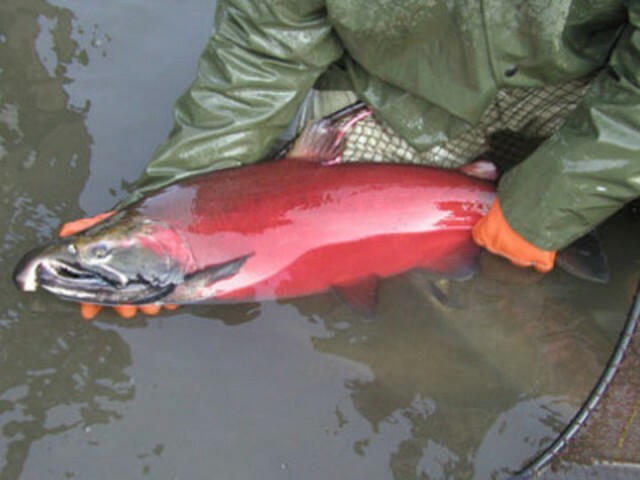 "This is an issue because, one thing, a lot of these are things like salmon and steelhead," said Pete Moyle, a fish biologist at UC Davis, and lead author of the study. "The other part of it is that most of these fish are species -- or runs of salmon, for example -- that are found only in California. So we have a very distinctive fish fauna. And it can't be replaced." In his study, published in PLOS ONE, Moyle found that warmer water temperatures and altered weather patterns are to blame, though some invasive fish stand to benefit from the changes. California native fish could disappear with climate changeThe authors of a new study published online in the journal PLOS ONE used 20 metrics -- including species population trends, physiological tolerance to temperature increase and ability to disperse -- to gauge the vulnerability of native fishes to climate change. The results: 82% of 121 native species were deemed highly vulnerable.